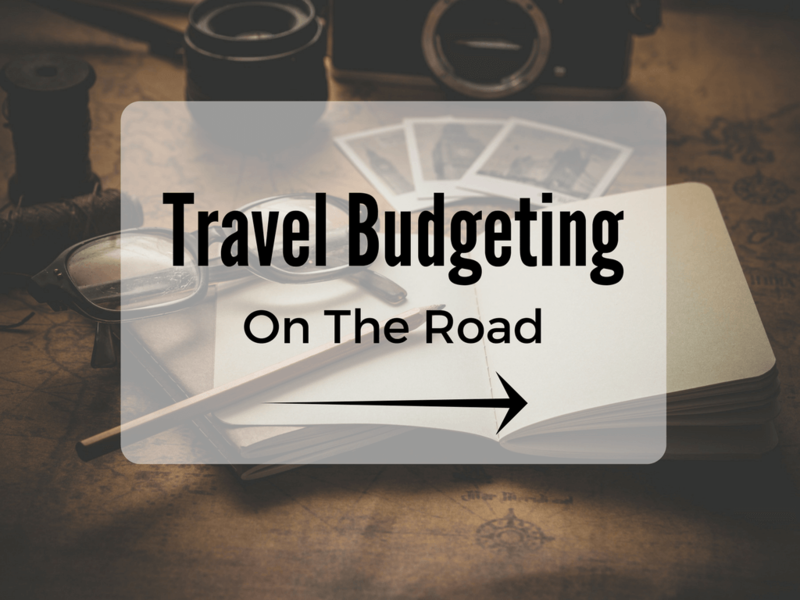 Prioritizing your money before a vacation or trip is very important. But what about while you are on your trip? Just because you saved up enough money to take off and go to that place you've always been dreaming about doesn't mean you can stop budgeting your money when you get there. 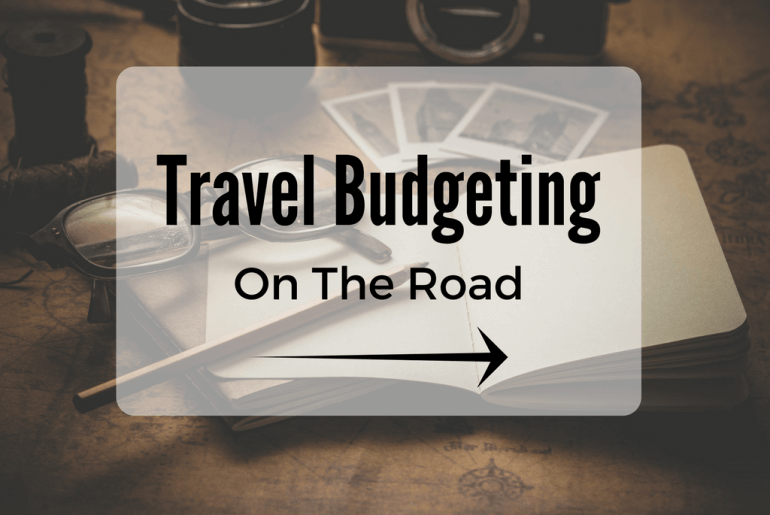 If you haven't checked it out yet, Travel Budgeting: Before Your Trip is a good read to help you get starting on saving that cash-oola! Much like saving before you leave, budgeting, while you’re on the road, isn’t rocket science, a bit of planning and you’ll be just fine. So let's get into it! Here are a few steps you can take to make sure you'll be spending less time worrying about your money and more time enjoying your travels! 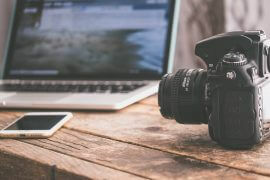 The first step in creating a great budget for while you are on the road, and sticking to it, is coming to terms with why it is so important in the first place. Let's say you go on a trip to a beautiful tropical island. You can hardly contain your excitement as you book your airfare there and back. You get to the island and totally abandon the budgeting habits that enabled you to go on the trip in the first place. You're having so much fun, but the next thing you know you're some time into your trip and uh-oh....you're out of money...now what? Your flight is already paid for, but that's not for another week. Let's be real generous and say you already paid for your accommodations as well, or perhaps you booked online so you can use your credit card to extend your stay where you are. But what about food? What about that island hopping/snorkeling trip you had planned? Well, you can just put all that on your credit card too right? In an ideal world sure, although now you're coming home with credit card debt and that's no fun. In reality, you might not even be able to do that. There are still plenty of places in this world that are cash only, and even ATMs can be hard to get to or simply not available. All of these headaches putting a damper on your trip simply because you became careless. 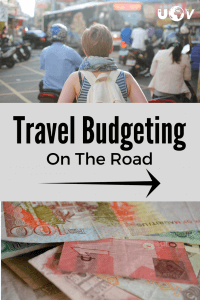 In order for you to make a realistic daily budget for while you're on the road you're going to have to make some decisions about how you would like to travel. Despite what some people might say, there is no right or wrong way to travel in terms of your own level of comfort vs. saving money. You simply need to decide what level is appropriate for you. However it is that you feel about this you must consider both sides of the coin, and how that will affect your travels. If you attempt to travel extremely cheap (I’ve seen people do as little as $10 a day) you have to realize that this will affect what you can do while you travel. Is it worth traveling for 6 months on $10 a day if you cannot afford to do anything because entrance fees to historical sites and local attractions are too expensive for your budget? Personally, Jess and I fall somewhere in the middle. We eat street food and take public transportation/walk whenever possible. But if we are going to have to spend $5 each for a dorm bed anyway, a private room at $12 total is often worth the extra $2 for us. The point is that there is no right or wrong way to travel. Do whatever works best for you. But whatever you decide it is wise to think about this beforehand. 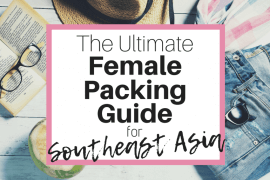 Okay, now that you have some idea of how you would like to travel you can start looking into how much you're actually going to need on a daily basis. 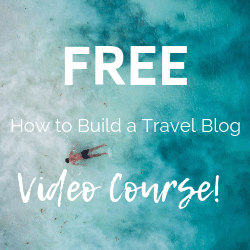 Unfortunately, I cannot give you any hard and fast numbers on this because the average cost of travel per day is going to vary drastically depending on where you plan to travel. 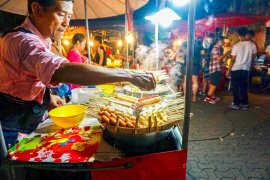 Europe, for example, will be quite expensive in comparison to Southeast Asia, so you are going to have to do some legwork. Look up some hostels in the cities you plan to visit. How much is the average cost of a nights stay for the type of accommodations you are looking for? Dorm Bed, Private Room, AC (Air Con. ), Fan Room, all of this will vary. Let’s also not forget about attractions. 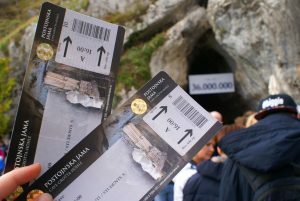 You will want to see the sights once you arrive, how much is an entrance ticket going to cost you? If you book through your hostel will that price included transportation there and back or perhaps even lunch while you're out for the day? When Jess and I make our travel budgets we refer to these expenses (along with flights, Tuk Tuks, and all other irregular expenses) as Dining Plus. We set a daily spending limit for food and accommodations for the two of us and everything else comes out of Dining Plus. Take the number of days you plan to travel and multiply by your daily food and lodging number. This gives you a total cost of living number. Then tack on top of that your Dining Plus (about 25% more seems to work well for us) and you have your total Cost Of Travel. Once you leave you’re probably not going to have direct access to a branch of your bank anymore. Which means you also need to think about how you will access your money. Cash is a great start. Always get some of the local currency before you leave. It will help you get started when you first arrive. It’s also a good idea to have some of a large international currency as well such as U.S. Dollars, English Pounds or European Euros. They're accepted most everywhere and will be easy to get exchanged for the local currency once you get there. The obvious limitation to cash is being scammed or worse robbed, so limit how much you bring. It’s often not possible to bring enough cash to last you for your whole trip. So you’ll have to decide how to get more. These can be great because most places will have some sort of ATM that you can use. You will, however, need to talk to your bank before you leave and let them know about your travel plans. You don't want them to freeze your account for suspicious activity when you try and use an ATM overseas. While you are there it would also be good to ask them about any fees for using foreign ATMs. Debit cards are not perfect, however. Most banks are going to charge you a fee every time you use an ATM that is no theirs. It can be even higher because you are overseas. The ATM that you are using may also charge you a fee because you are not a member of their bank. On top of that, the withdraw limit per transaction is quite low in some countries for security reasons. You may end up doing several withdraws to get any decent amount of money out. Before you know it you're starting to lose a lot of your travel money in all of these fees. The best case scenario is if your bank does not have any nonmember ATM fees. Some of the very best will even reimburse you for a fee charged by another bank's ATM. Travel credit cards can also be great as most of them do not have any per transaction fees. They also typically have a points/rewards program. I would definitely recommend getting one, especially for travel emergencies. But again there are some problems. There are still many places where credit cards are not commonly used. Credit cards are also not a great way to get more cash. You can get a cash advance on the card. But the fees for doing that are often so high I would steer clear of that if at all possible. These have been around for a long time because they do work. However, you are limited to certain banks in getting them redeemed for cash. I wouldn't recommend relying on them solely either. It's a combination of all four of these methods that will most likely be your best bet. By the time you have read through this whole article I have no doubt that you will be feeling thoroughly overwhelmed. But fear not! As I have said before, and I will say it again. If we can do it, you can do it too! While all of these aspects of your on the road budgeting need to be addressed, none of them are overly complicated. A little planning and you will be just fine. What's even better is once you set yourself up with a good plan you’re free to do what you really wanted in the first place. Enjoy your travels! 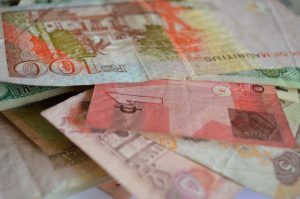 How do you manage your money while you travel? Leave a comment below and tell us what works best for you!